Breeze is one of the most original and exclusive musical projects in Romania, the first and only live band, exclusively on smooth Jazz, Bossa Nova, Lounge and Brazilian Electro in the country. 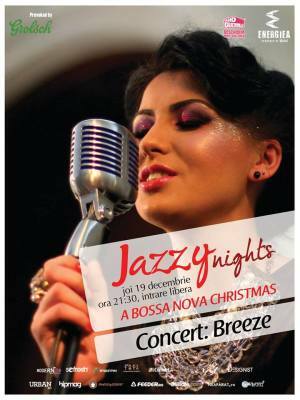 "A BOSSA NOVA CHRISTMAS @ Energiea" Concert in Bucharest. You can get here description, reviews, address, time and details of "A BOSSA NOVA CHRISTMAS @ Energiea" Concert in Bucharest. Visit Bucharest Tips for more Concert events in Bucharest!